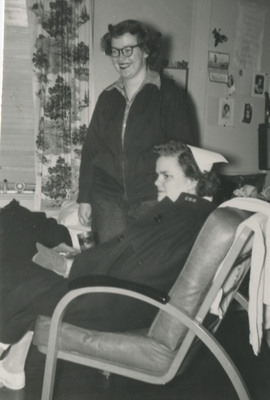 Two nursing students pose in a dormitory room at the Student Nurses' Home of the Good Samaritan School of Nursing. Unknown, "Nursing Students Posing in Dormitory Room" (1951). Good Samaritan School of Nursing Photographs. Image. Submission 198.